This is a really pretty jewellery set. 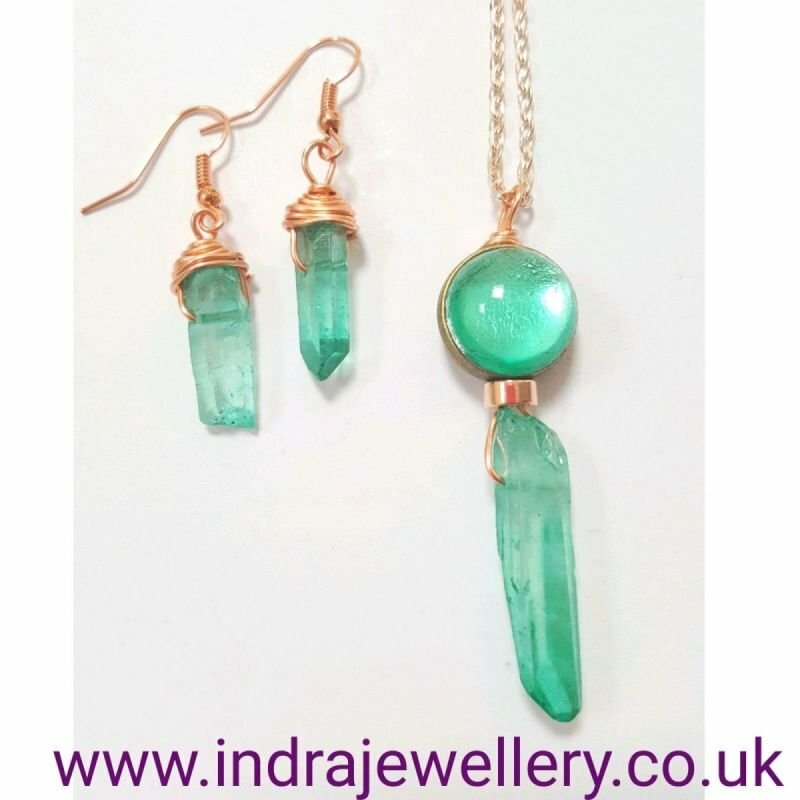 The earrings are a natural gemstone which is a green quartz point crystal, I have wrapped them with copper wire and attached them rose gold plated hooks. The necklace has The same green quartz point which has been married up with a light emerald stone, the light emerald (mint green) stone was made with silver leaf in Japan by cherry brand in the 1960's. These high quality stones have vibrant colour and sparkle and because they are handmade, each stone is unique. I have wire wrapped the necklace with copper wire and attached it to a rose gold plated chain which measures approximately 26"
Green Quartz can help one to feel empathy and universal love for others, and as such, is a great stone for people who are overly selfish or controlling. Green Quartz has a pleasant vibe and can have a positive effect on the environment if placed strategically in a room.